Every Single Beauty Advent Calendar for Christmas 2018! I know it’s only August, but news of 2018’s beauty advent calendars has already started to spread, so I thought it’s about time I gathered information on every single one so you can have a (hopefully) fully comprehensive list to refer to over the coming months. The below list is in price order, starting with the groups (where a brand has more than one calendar) and then the lowest, and I’ll update info, dates and links as soon as I have the info myself – enjoy! 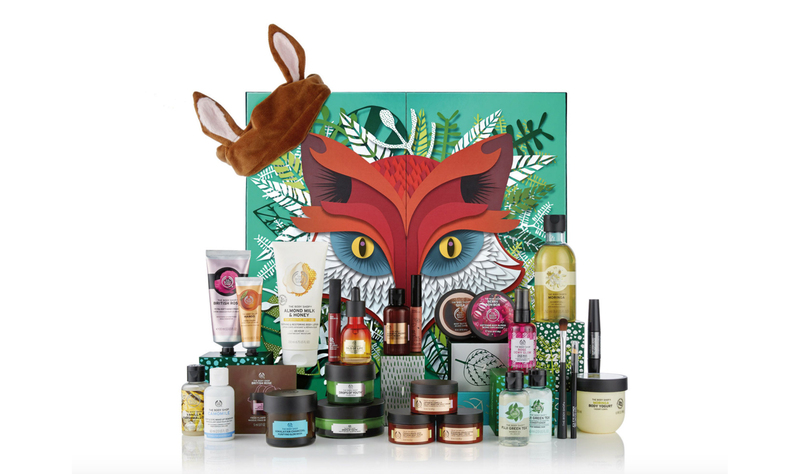 The Body Shop Advent Calendars – Olivia the Owl version is £45.00 (worth £85). Dani the Deer version is £65.00 (worth £121). Freddie the Fox version is £99.00 (worth £231) and Countdown to New Year version is £45.00 (worth £85). AVAILABLE NOW! The Body Shop’s advent calendars really do look amazing this year! 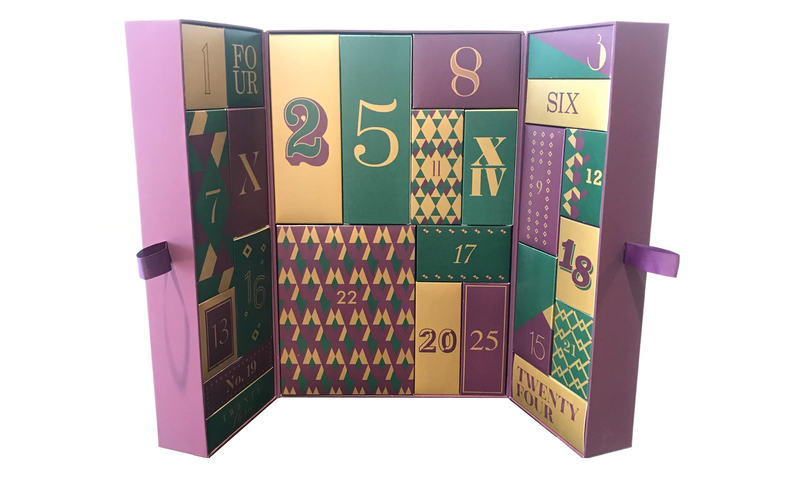 They usually have two or three, but this year they have four, to cater for different budgets – the Freddie Advent Calendar (above) is cruelty free, vegan, and contains some of the brand’s best make-up, skincare and bodycare products! L”Occitane Classic Advent Calendar is £49.00 and the Luxury Advent Calendar is £89.00 AVAILABLE NOW! I reviewed the 2017 L’Occitane Luxury Advent Calendar, and it was amazing! This year’s offering looks just as good (if not better) with fun, colourful packaging. The Luxury Advent Calendar is packed with L’Occitane luxury treats, or if you’re looking for something more affordable, the Classic Advent Calendar is available too at £49.00. Rituals Advent Calendar 2D Exclusive version is £59.50, and the Deluxe 3D version is £89.00, AVAILABLE NOW! Another duo of calendars are available this year from Rituals. The deluxe 3D Christmas tree contains 24 beautiful treats including fragrance, beauty, bath, and home products. Expect to find the new Ritual of Holi Crackling Body Mousse as well as The Ritual of Dao and The Ritual of Ayurveda from the hero collections included. The 2D Exclusive calendar is again more affordable, but still contains a fab selection of Rituals products. The M&S Advent Calendar was easily one of my favourites last year – the combination of fantastic brands and a very reasonable price made it incredibly popular. 2018 is following this theme with a calendar offering 25 cult beauty favourites – expect brands such as L’Occitane, Balance Me, This Works, Nuxe, Stila and Autograph – with a total value of over than £250. But all this can be yours for just £35, when you spend £35 elsewhere in store or online. Sleek Makeup Advent Calendar, £35.00, AVAILABLE NOW! I LOVE Sleek as a brand, they make some fantastic budget friendly makeup, and their 2018 advent calendar sounds fantastic! Expect to find a selection of their best-selling makeup products inside. Soap & Glory It’s In The Calendar, £40.00, AVAILABLE NOW! This is another one I loved from last year! Soap and Glory’s 2018 Advent Calendar contains a selection of brand favourites in both mini and full sizes. Cath Kidston Christmas Town House Advent Calendar, £40.00, AVILABLE NOW! Cath Kidston’s first ever advent calendar features her gorgeous signature kitsch packaging, and a collection of both mini and full size products. Expect to see body lotions, salts and scrubs, lip balms, hand creams and more. Jack Wills Advent Calendar, £40.00, AVAILABLE NOW! Jack Wills is back again for 2018, with a budge friendly advent calendar containing a selection of their favourite products. Expect body care, nail polishes and accessories. For fans of No.7 products, the Boots No.7 Beauty Advent Calendar is a must have! At a very reasonable £42.00, this calendar contains a selection of the brands best sellers across skincare, makeup and nails. This is sure to be a sell out just like last year! Mavala Advent Calendar, £45.00 each, available from October at Look Fantastic. Mavala have two advent calendars this year – on includes just nail products, and the other includes nail and skincare products. NYX Sugar Trip 24 Days of Beauty Advent Calendar, available 10th October. The NYX Sugar Trip 2018 Advent Calendar is perfect for makeup fans that don’t want to spend the earth on an advent calendar. Expect to find a fab selection of NYX beauty products included. 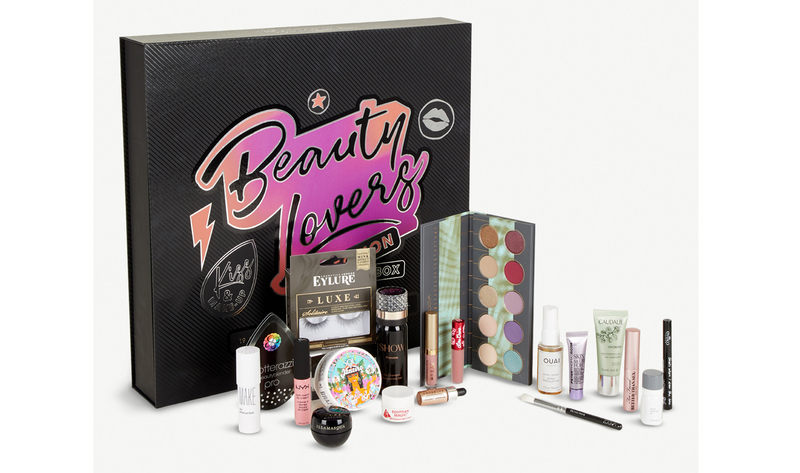 Makeup Revolution Advent Calendars, from £50.00, AVAILABLE NOW! I’m counting no less than FOUR advent calendars from Makeup Revolution this year, wow! Ranging from £50.00 up to £120.00, there’s definitely something for everyone from this fantastic budget brand. The above calendar is one of 2x £50.00 versions available. ASOS Face + Body Advent Calendar, £55.00, AVAILABLE NOW! The ASOS Face + Body Advent Calendar looks fantastic! It contains a selection of full size and mini products from some fantastic brands, including Benefit, Clinique, Caudalie and Rodial. It’s also very affordable at only £55.00! 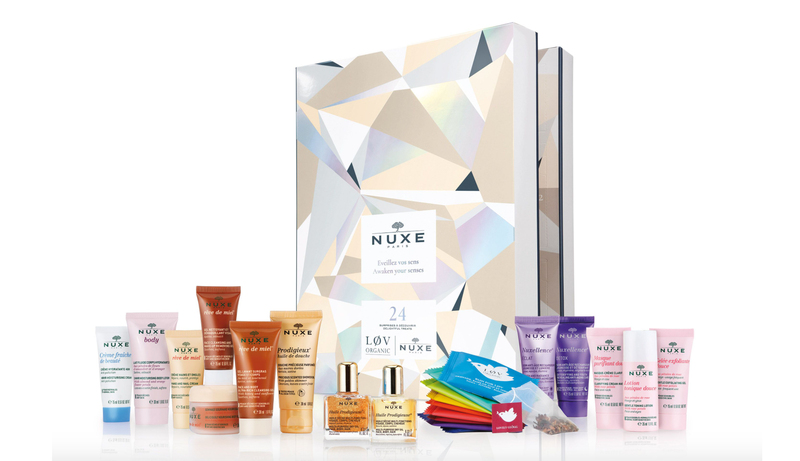 Nuxe Advent Calendar, £59.00, AVAILABLE NOW! The Nuxe 2018 Advent Calendar includes 24 days of travel sized Nuxe skincare products. This is a must have for fans of the brand! 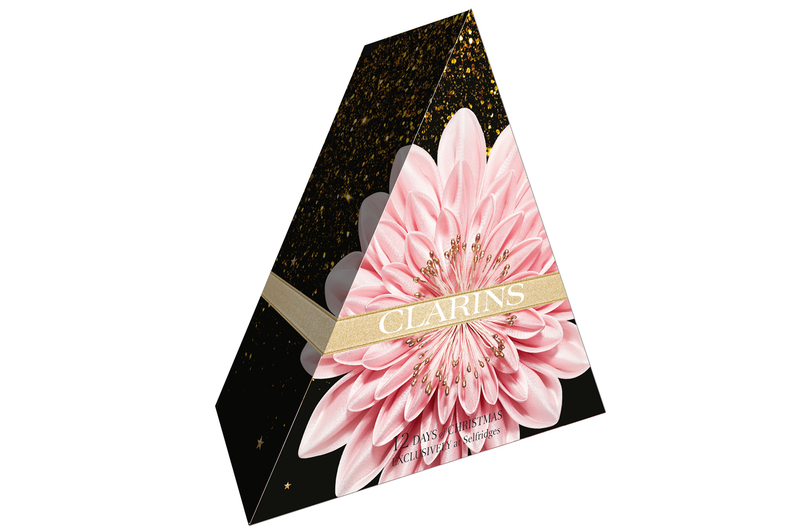 Clarins Advent Calendar, £60.00, available from September 29th at Selfridges. Clarins are back agin this year with their favourite 12 Days of Christmas advent calendar. Expect to find plenty of best-selling Clarins products inside, and there’s also a men’s calendar too. Latest in Beauty Advent Calendar, £60.00 worth £255.00, Sign up now! Last year’s advent calendar was fantastic, so I’m expecting something similar this year. 2018’s advent includes 24 luxe beauty products, including some amazing brands such as Oskia, Aromatherapy Associates and The White Company. Birchbox Advent Calendar, £65.00, available 2nd October to Birchbox subscribers and from 3rd October to non-subscribers. Did you know that last year’s Birchbox advent calendar sold out in less than 24 hours? So if you fancy the look of this one, you’d better get that date in your diary! The 2018 calendar contains a fab selection of beauty treats from brands such as Pixi, Nuxe, Caudalie, Benefit and more. 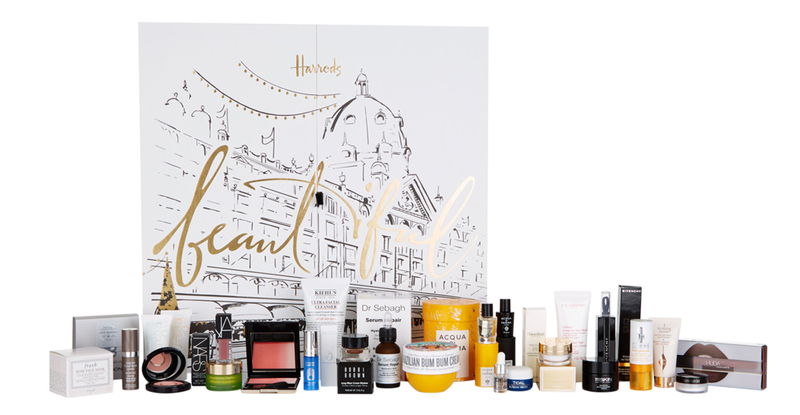 Selfridges Beauty Lovers Workshop Advent Calendar, £70.00, AVAILABLE NOW! I love the sound of Selfridges Beauty Workshop Calendar, it contains a variety of more lesser known and niche brands, handpicked by Selfridges. Inside this one expect to see Lime Crime, MAKE Beauty, Illamasqua, Zoeva and more. Debenhams are launching their first ever beauty advent calendar this year, yay! The Ultimate beauty Advent Calendar includes 24 treats covering a fantastic selection of brands, such as Laura Geller, MAC and Too Faced. This sounds like it’s definitely one to look out for this year! Green People Green Regime Advent Calendar, £75.00, available from October. This is Green People‘s first ever advent calendar! Their Green Regime box would be perfect for fans of the brand, or those into organic beauty. Glossybox All I Want Advent Calendar, £75.00 for subscribers, £99.00 for non subscribers. Pre-order NOW! GlossyBox are also launching their first advent calendar this year! The All I Want Box includes 25 beauty treats with 16 of them being full-sized! (This really is unheard of for beauty advent calendars) You’ll find inside brands such as Pixi, Real Techniques, Huda Beauty, Yankee Candle, NARS and more – this is definitely one to snap up this year! 24 Days of Clinique, £76.00, AVAILABLE NOW! The 24 Days of Clinique advent calendar includes a selection of mini Clinique favourites. This one is exclusive to Selfridges too so you won’t find it anywhere else. Look Fantastic Advent Calendar, £79.00, worth over £300.00, AVAILABLE NOW! Lookfantastic’s Advent Calendars always look amazing! The 2018 calendar has been designed specifically to get you party ready in the run up to Christmas, and contains 25 products. Expect to see brands such as Lipstick Queen, Sleek, Rituals, ESPA, Illamasqua and more inside. 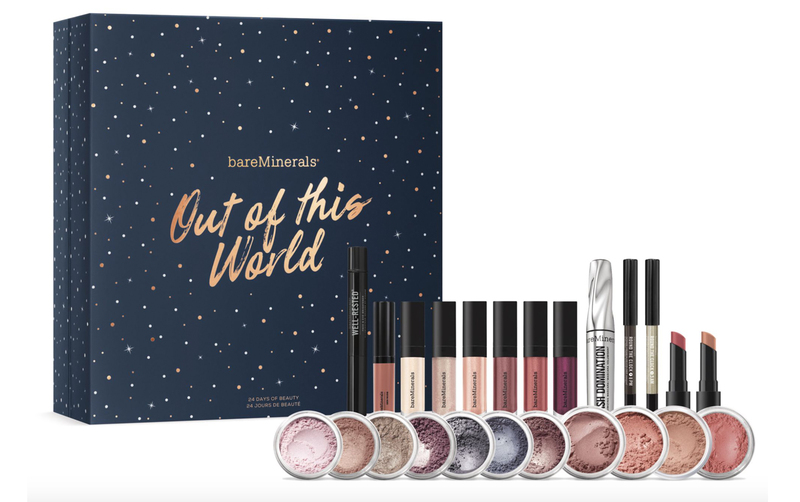 bareMinerals Out of this World Advent Calendar, £79.00, worth £281.00 AVAILABLE NOW! bareMinerals advent calendars always look amazing, and this year’s is no exception. Containing a massive selection of products, including lip glosses, lipsticks, blushers, eyeshadows, mascaras and more, this would make a lovely gift for fans of the brand. The 12 Days of Liz Earle, £80.00, AVAILABLE NOW! Liz Earle is back again for 2018 with 12 days of fabulous treats. You’ll find a selection of skincare favourites inside the box, including the best selling Cleanse & Polish Hot Cloth Cleanser. Decléor Advent Calendar, £80.00 worth £258.00, AVAILABLE NOW! 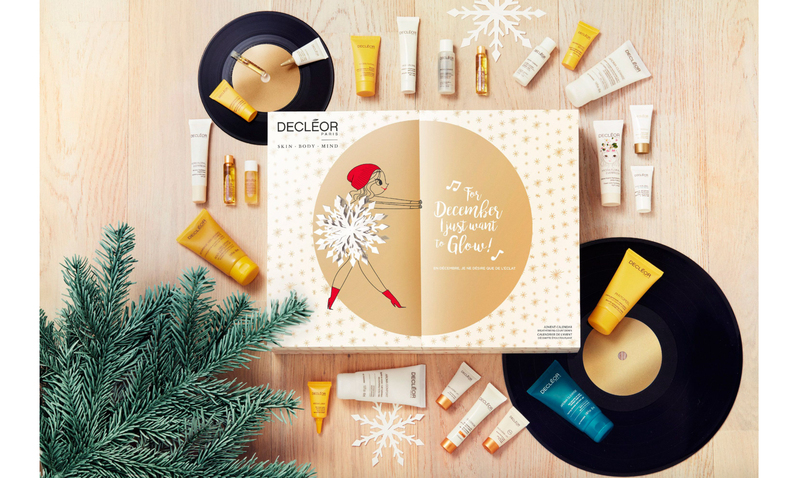 Fans of luxury skincare will adore the 2018 Decleor Advent Calendar. 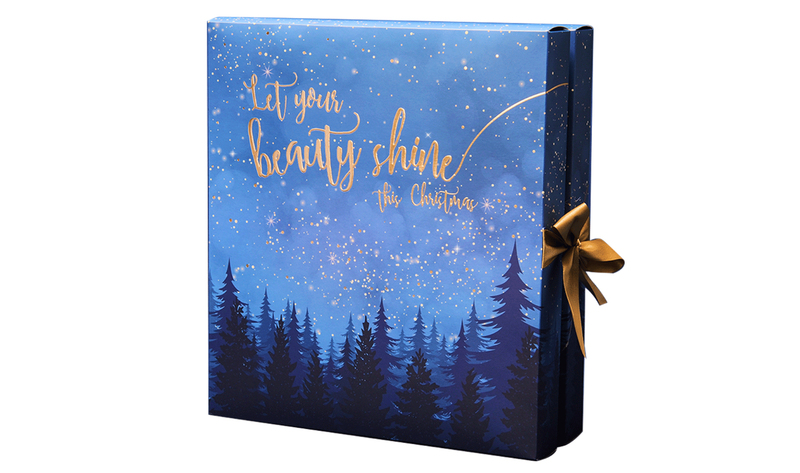 The theme of this box is glowing skin, and it looks just beautiful. Be sure to snap this one up fast if you’re interested, last year, a box sold every 8 seconds! Lumene Advent Calendar, £89.90 worth £195.00, date TBC at Feel Unique. Now this is quite exciting as I haven’t heard of this brand before. 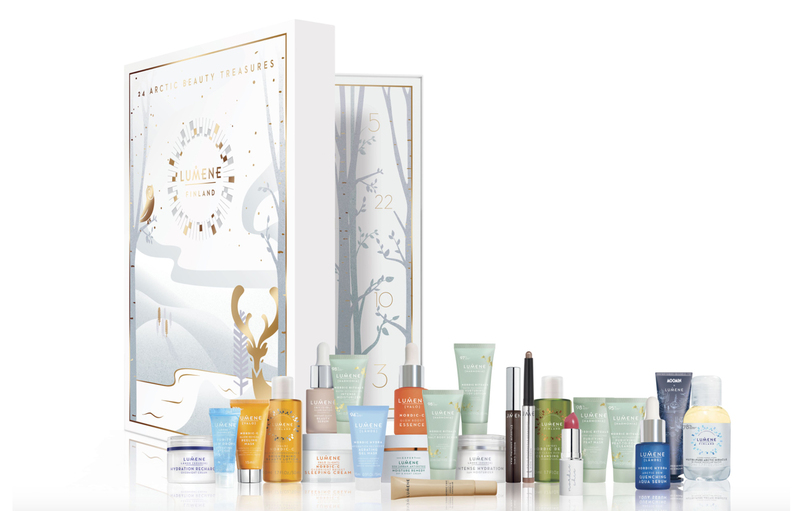 Nordic beauty brand, Lumene, have launched their first advent calendar stuffed with skincare treats worth a massive £195! 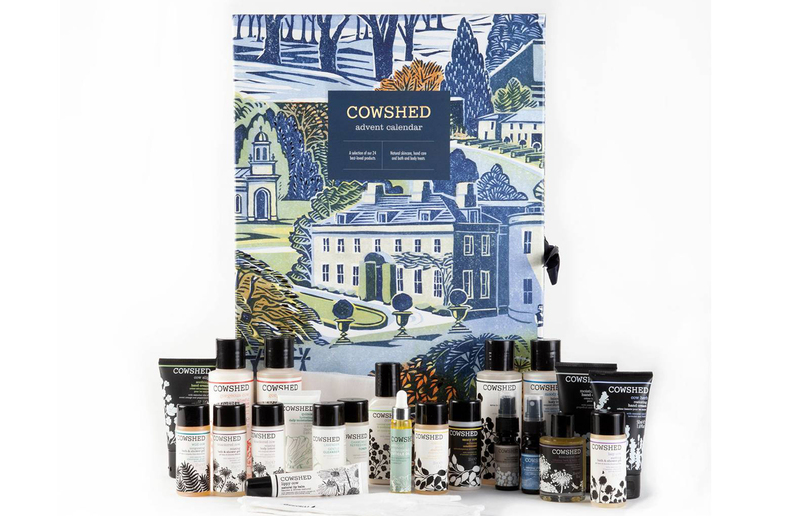 Cowshed Advent Calendar, £90.00, available from September 6th. This lovely calendar includes 24 deluxe pampering treats, covering skincare, bath and body, and hand care. 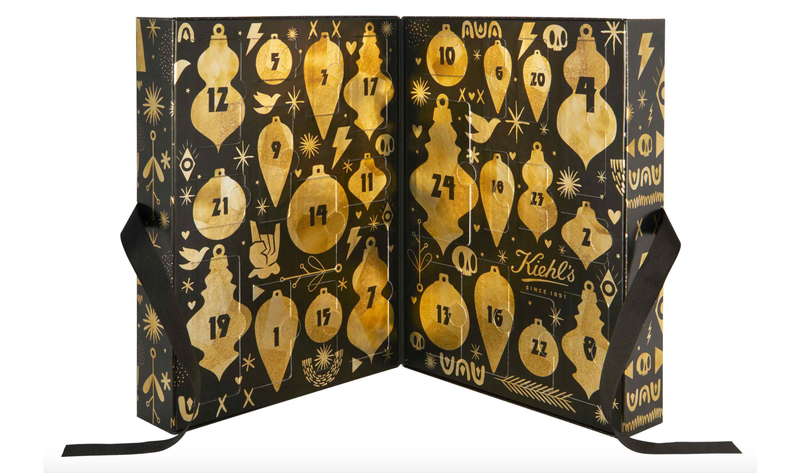 Another Selfridges exclusive, the beautiful 24 Day Advent Calendar from Kiehl’s is packed with 24 days of the brand’s best-selling favourites. ELLE Beauty Advent Calendar, £125.00, available from 1st October. Sign up here. Another first, this time from Elle – this is quite unexpected! They’re jumping in at the luxury end of the market with a £125 calendar containing products worth £340. Expect to find brands including Hourglass, NARS, Dermalogica, Too Faced, and more. I think this one’s going to be super popular! 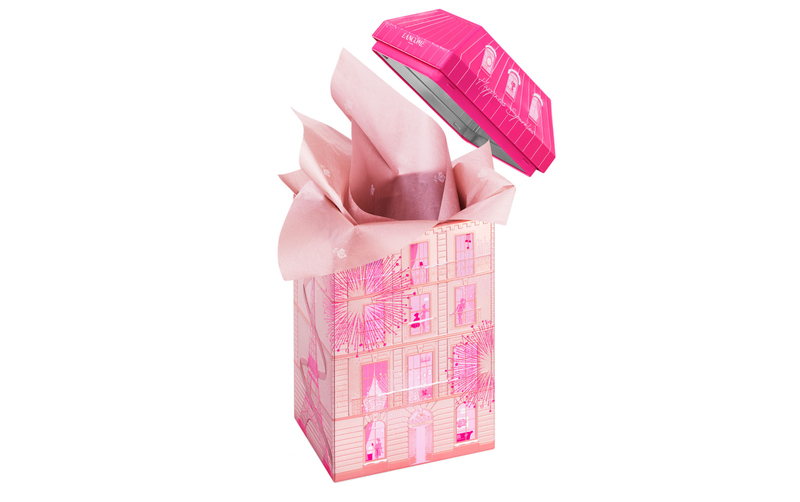 MAC Cosmetics Shiny Pretty Things Advent Calendar, £125.00, AVAILABLE NOW! AT LAST! Beauty lovers rejoice, Mac has finally released their very own Advent Calendar! The set contains a mixture of deluxe mini products as well as a few full sizes, and it’s worth £236.70 so you’re definitely getting your moneys worth! This is bound to sell out FAST so be sure to snap this one up quickly! Lancome’s Advent Calendar is seeming a bit secretive this year (so far anyway) I can’t find any information on this one as yet, so keep your eyes peeled and I’ll update this asap! 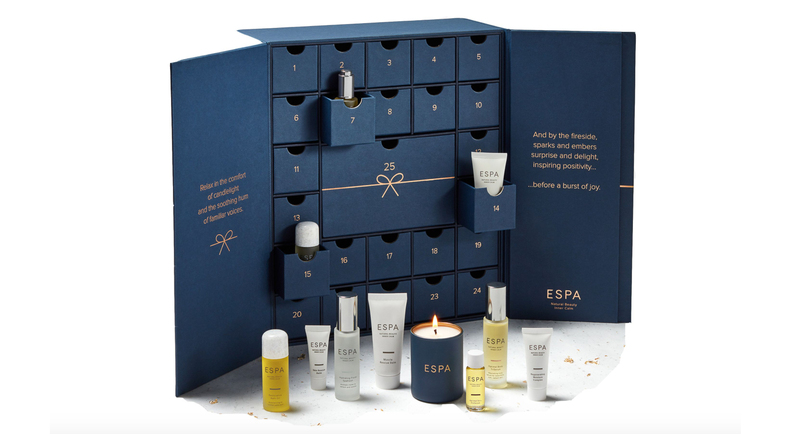 ESPA Comfort & Joy Advent Calendar, £130.00, SIGN UP HERE! The luxury ESPA Comfort & Joy Advent Calendar contains a gorgeous ESPA skincare hero behind every door. Included you’ll find delightful oils, skincare products and candles to provide you with your daily dose of wellness. Expect an extra special full-size treat on Christmas Day too! 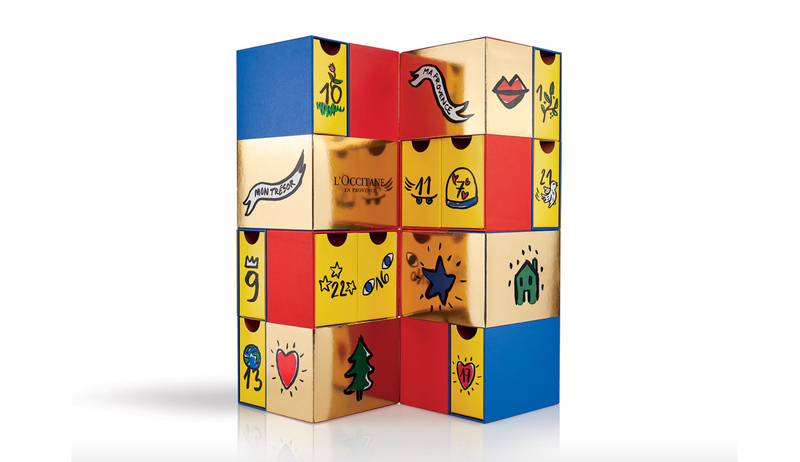 L’Oreal Luxe Selfridges Advent Calendar, £130.00, available from 26th September. If you’re looking to spend a bit more non a beauty advent calendar this year, this L’Oreal Luxe calendar really does look fantastic. It contains a selection of gorgeous products from L’Oreal’s higher end brands, including Lancome, YSL, Urban Decay and Viktor & Rolf. For once, Charlotte’s Advent Calendar isn’t at the very top of the list – there seems to be a boatload of super high end (expensive) calendars this year! Charlotte’s 2018 Advent Calendar contains 12 countdown to Christmas beauty treats. You’ll find plenty of cult favourites inside, including one of my personal faves, the Pillow Talk Lipstick. Fenwick’s calendar for 2018 is packed full of high end beauty minis – expect to find high end beauty treats for every day of advent, as well as full sized products from the likes of MAC, Nails Inc and Bobbi Brown. The White Company have gathered together some of their favourite seasonal products and created a beautiful high end calendar for 2018. Inside you’ll find candles, body and bath products, fragrance and much more. 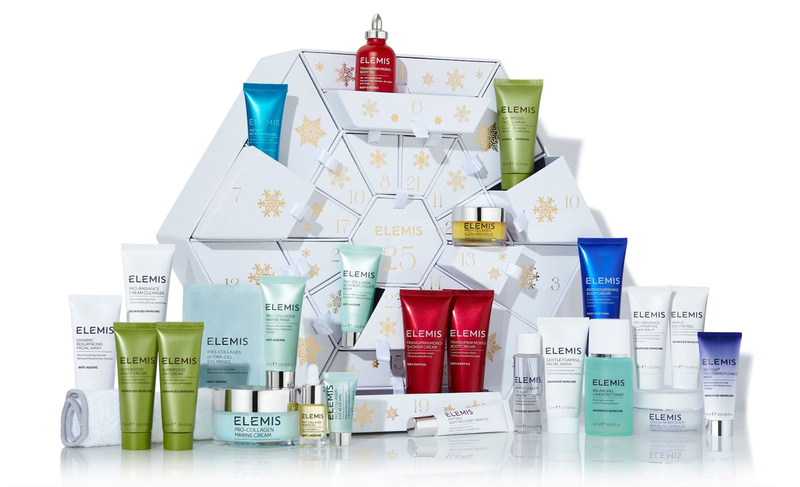 Elemis Beauty Advent Calendar, £150.00 worth £345.00, AVAILABLE NOW! How gorgeous does this calendar look? Fans of luxury skincare will be in heaven with the 2018 Elemis Advent Calendar. It contains a full size best-selling Pro Collagen Marine Cream and Pro Radiance Illuminating Flash Balm, as well as a selection of mini Elemis products. Net-A-Porter 25 Days of Beauty Advent Calendar, £150.00, AVAILABLE NOW! This is Net-A-Porter’s first advent calendar, and it really does look amazing! Brands include Marc Jacobs, Charlotte Tilbury, Illamasqua, Chantecaille, Sunday Riley and many more. If you’re looking for a luxury advent calendar, this should definitely be in your radar! John Lewis Advent Calendar, £165.00, AVAILABLE NOW! John Lewis are offering something a little different this year, apart from including an amazing selection of high end brands in their calendar (hello Aqua di Parma, Hermes and Floral Street) They’re also including vouchers for personalised services, such as an Elemis personalised mini facial, and an Aveda personalised hair and scalp camera analysis to name a just couple. The 2018 Molton Brown Advent Calendar is packed full of gorgeous pampering treats. Inside you’ll find shower gel baubles, candles, bath washes, a limited edition fragrance and much more. YSL Beauty Advent Calendar, £195.00, available from 10th October. The YSL Beauty (Selfridges exclusive) Advent Calendar looks stunning this year. It includes a selection of gorgeous YSL treats for 24 days in the run up to Christmas. 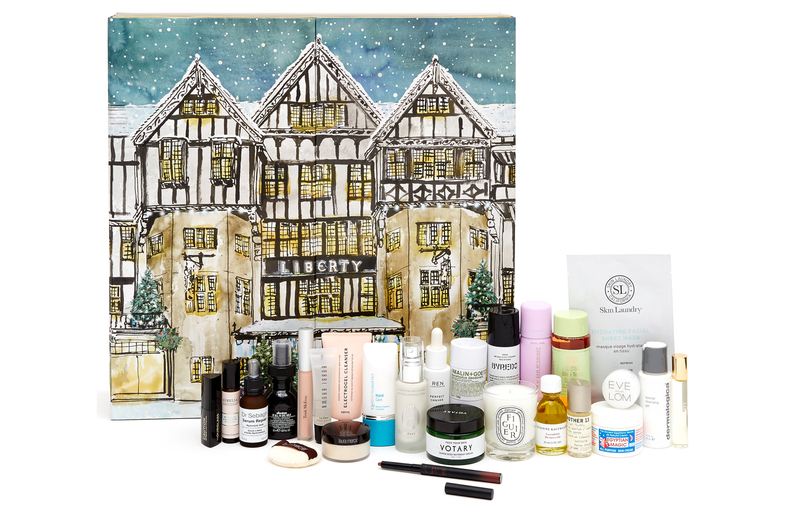 Liberty London Beauty Advent Calendar, £195.00 worth £600.00. Available Now! This year’s Liberty Advent Calendar looks better than ever! It is expensive, but contains some amazing high end brands such as Diptyque, Laura Mercier, Hourglass, Byerdo, Bobbi Brown, Omorivcza and more. Harrods Beauty Advent Calendar, £250.00 but worth £680.00, AVAILABLE NOW! 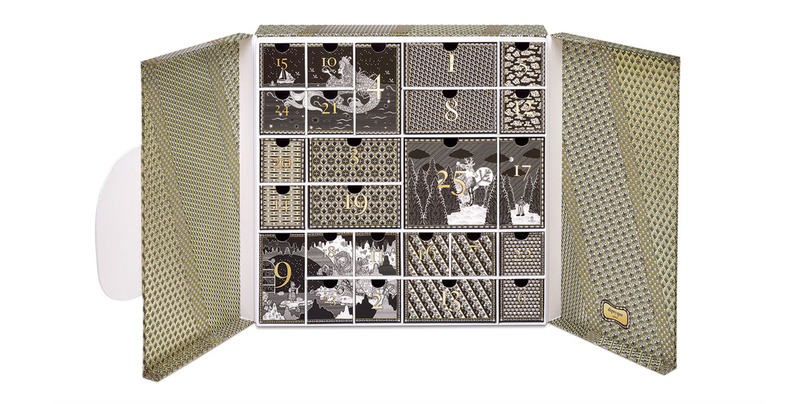 One of the ‘big daddy’ advent calendars – the Harrods calendar is truly a luxurious treat. It contains 25 luxury beauty products, from brands including NARS, Huda Beauty, Charlotte Tilbury, Sunday Riley, Givenchy and more. These products are worth a whopping £680! Space NK Beauty Advent Calendar, £250.00. AVAILABLE NOW! Another first! SpaceNK is joining in on the advent fun this year with their debut calendar. Including 25 products, you know this is going to be amazing (and highly likely on the pricier side – I’ve slotted it in here as I’m guessing around £150.00) Expect brands such as Chantecaille, Sunday Riley, Lipstick Queen, Hourglass and more. Jo Loves Advent Calendar, £250.00, available from November. This is another first! Jo Loves has jumped on the beauty advent calendar bandwagon this year, launching a stunning looking drawer style calendar! I have a feeling this one will be a sell out. Jo Malone Advent Calendar, £300.00, available now! Jo Malone is back for their 4th year of amazing advent calendars! 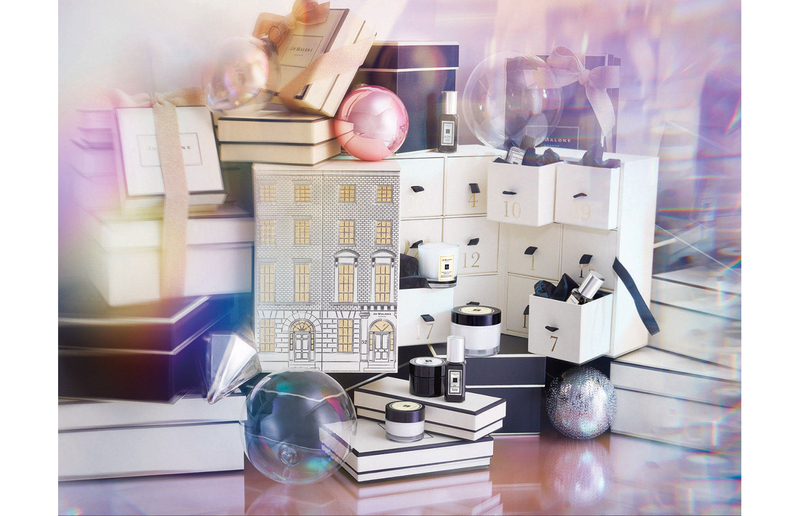 This years festive townhouse contains all you’d expect and more from this luxury brand. Expect to find Jo Malone classic favourites included, as well as seasonal launches, such as a mini Frosted Cherry & Clove Candle which is new for Christmas 2018. If you’re interested make sure you snap this one up fast, it’s sure to be a sell out again as it has every other year! Atelier Cologne Advent Calendar, £300.00, available now! I’m loving that dedicated fragrance advent calendars are now becoming a thing! The 2018 Atelier Cologne advent calendar includes an assortment of travel sprays, body lotions, finely crafted soaps and even full size fragrances, plus Atelier’s iconic leather cases so you can keep them safe. A first from luxury skincare brand La Mer, they’ve gathered together their favourite products in the La Mer 12 Days of Radiance Collection. It features 11 travel sizes and one full size product – this is a must have for fans of the brand! Diptyque Advent Calendar, £320.00, available now! And lastly, of course, Diptyque! At a purse-clenching £320 this year, the Diptyque Advent Calendar is definitely one for die hard fans of the brand. The calendar contains 16 mini candles as well as travel-sized fragrances and bodycare products. Oh man I keep remembering that Christmas will be here before we know it!